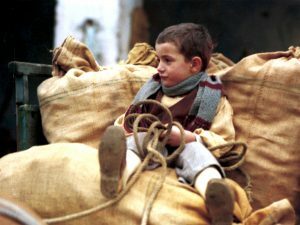 Winner of the Palme d’Or at Cannes and regarded as the last great work of Italian neo-realism, Olmi’s film depicts the lives of the peasants living and working for a landlord in 19th century Lombardy over the course of a year. One father, trying to provide an education for his son, uses the tree of the title, with terrible consequences for his family. “One of the most neglected masterworks of the Italian cinema” (Empire).